GARDA: Name-giving place at the Eastern shore of the lake. Enjoy a walk along the lake‘s promenade and Italian seafood, e.g. at Giardinetto. 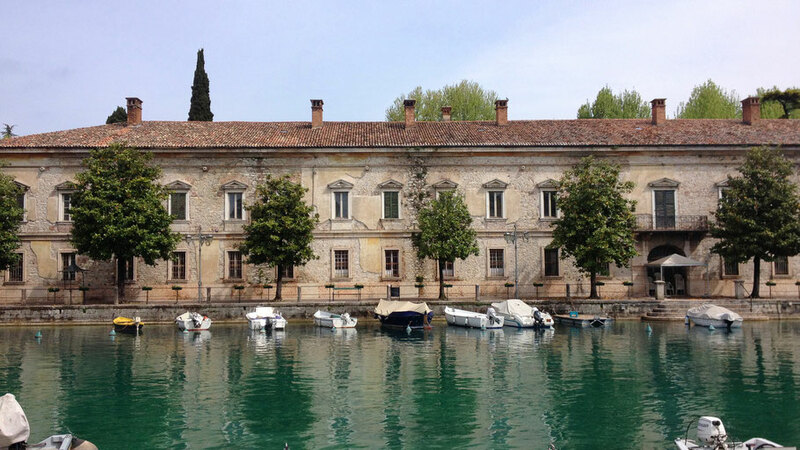 PESCHIERA DEL GARDA: Idyllic town at the South-Eastern shore of the lake with nice little alleys and a fortress. Direct trains to Venice. When traveling with kids, Gardaland amusement park might be worth visiting. SIRMIONE: Peninsula at the Southern shore with an impressive castle offering a beautiful view over the town. The old town is pretty and a good place to get some souvenirs. Charming restaurant south of Sirmione right at the San Martino Tower with grilled florentine T-bone steaks: Osteria alla Torre. VERONA: The famous place of three Shakespeare plays, e.g. Romeo & Juliet. The Verona Arena is a set for big opera events. There is a little market at Piazza delle Erbe with many restaurants around. MANTUA: Beautiful town known for the closeness to Virgil‘s birthplace Andes and as the place where Sheakespeare‘s Romeo was banished to. The Basilica of Sant‘Andrea was designed by Renaissance architect Leon Battista Alberti.